The new class of rescue boats is the rescue boat of the 2020s, and in 2019 we are already launching the first in its class. It has the same great qualities as our other rescue boats, but it is developed with better comfort, ergonomics and ability. Propulsion with the water jet in combination with bow thruster ensures excellent maneuverability. 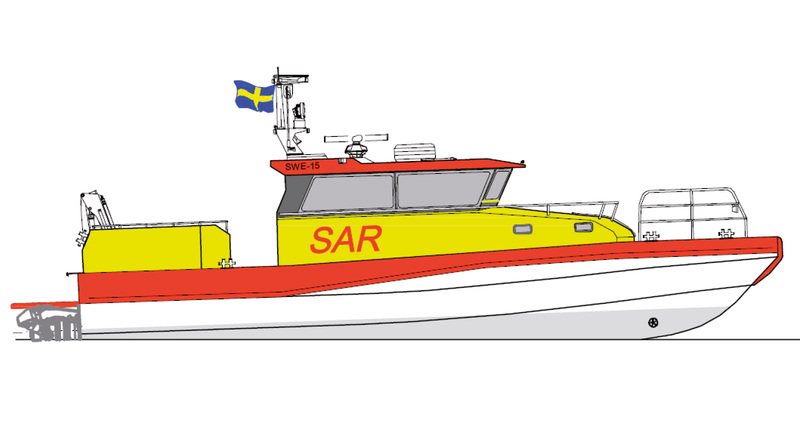 The boat is self-rightening and can carry out fast and efficient rescue operations in the waters surrounding Sweden’s coasts and archipelagos. Thanks to the disposal of the boat’s spaces inside and out, it allows good opportunities to carry out life-saving assignments in a more efficient and safe way than ever before.